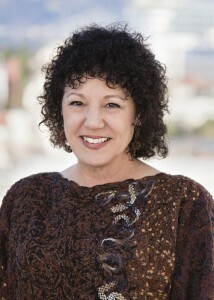 Freada Kapor Klein, PhD is an entrepreneur, activist and pioneer in the field of organizational culture and diversity. In 1976, Freada co-founded the Alliance Against Sexual Coercion, the first organization to focus on sexual harassment in the United States. 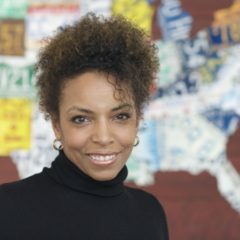 She is the founder of SMASH, now in its 16th year, which provides rigorous STEM education and access to social capital for for low income high school students of color on eight university campuses across the United States. As a Founding Partner at Kapor Capital, Freada invests in seed stage tech startups that close gaps of access, opportunity or outcome for low income communities and communities of color. Freada is a member of the U.C. Berkeley Board of Visitors, as well as the Council that formed the Hollywood Commission chaired by Anita Hill. She serves as an advisory board member of Generation Investment Management and on the board of AnitaB.org. She is the author of Giving Notice, which details the human and financial cost of hidden bias in the workplace. 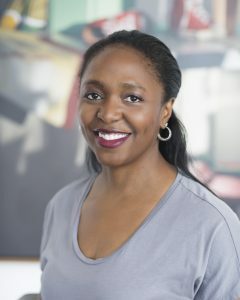 She also serves as a board member of the edtech company Genius Plaza, and in 2019 joined 10 other foundations to establish the nation’s first philanthropic fund to support women of color who are leading the fight against sexual harassment and violence. Cedric Brown is the Chief Foundation Officer. 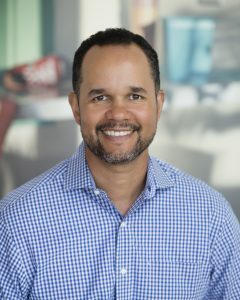 He has over 20 years of experience as a funder, convener, and advisor, steering over $60 million in grants to community efforts through working with the Kapor Foundation, San Francisco Foundation, San Francisco Education Fund, Switzer Foundation, and SF Cultural Equity Grants among others. He has worked steadily to ensure access, inclusion, and greater empowerment for people of color, including collaborations with the Obama White House Office of Science and Tech Policy, the UNCF HBCU Innovation Summit, Oakland Mayor Libby Schaaf, and an appearance in the CODE: Debugging the Gender Gap documentary. 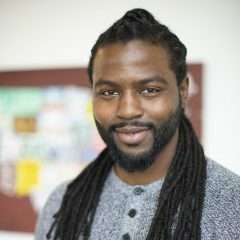 Cedric co-founded Brothers Code, the Oakland Summit on Blacks in Tech, the College Bound Brotherhood, and the Oakland Startup Network. Cedric has received leadership awards and recognitions from The San Francisco Chronicle, TheRoot, ABFE, East Oakland Youth Development Center, Startup Weekend Oakland, and the East Bay Stonewall Democratic Club. Cedric is a proud board member of the Association of Blacks Foundation Executives (ABFE) and the Oakland Museum of CA; he is also a published author and creative artist. Cedric holds degrees from the University of North Carolina and Stanford University. Moneese de Lara is the Chief Development Officer, with more than 20 years experience in professional fundraising. She has held senior level development positions in arts and culture, health and civil rights organizations. She has extensive experience building and managing development funds and campaigns ranging from $10 to $42 million in operating, capital and program support. Most recently, Moneese lead the fundraising program for the national office of the NAACP as the Senior Vice President of Development. She led and managed the growth of the development program, which more than doubled in revenue during her five year leadership. She was the recipient of the NAACP Medgar W. Evers Award for Excellence, the highest honor bestowed upon a national professional staff member of the NAACP for outstanding service. As a senior development officer, Moneese manages a team of fundraising professionals and the strategic direction and operation of all development funds, including foundations, individuals and corporations. Her personal interest and portfolio is focused on corporate fund development including corporate philanthropy and corporate sponsorship. 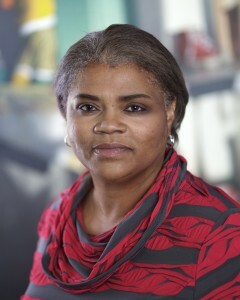 Her interest in corporate fund development is informed by her work in corporate responsibility and public relations with several fortune 500 companies prior to joining the nonprofit sector, including RJR Nabisco, Lockheed Martin and PepsiCo, where she was part of the start-up and operations of what was then the largest minority franchise in the PepsiCo system, setting up human resources, financial and sales systems to achieve regional product distribution. A graduate of Rutgers University in Business Management, Moneese is involved in several professional and civic organizations, including, Association of Fund Raising Professionals; Alpha Kappa Alpha Sorority; Links Incorporated; Jack and Jill of America. She and her husband have two daughters. Joe Fahs is the IT Director. He brings almost 20 years of experience in the tech industry in a wide variety of roles. He joins the Kapor Center after almost 10 years with The Linde Group, consulting with startups, non-profits and educational institutions to improve all aspects of their IT operations. Originally from the Democratic Republic of Congo, Joe grew up in Central NY and graduated from Dartmouth College with a degree in Anthropology. He lives in Richmond with his wife and two daughters. 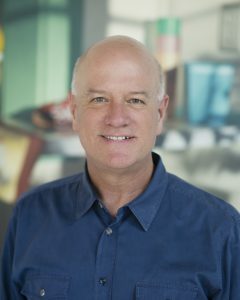 Lance Henderson is the Chief Operating Officer for the Kapor Center, bringing with him 25 years of experience managing philanthropic and nonprofit organizations committed to large scale social impact. Most recently Lance led a team at Zamzee, a project of the HopeLab Foundation, developing and bringing to market a research-proven technology designed to get kids and families more physically active. Prior to that, Lance served as Vice President for Program and Impact at the Skoll Foundation, where he led an international grant-making and investment team supporting social entrepreneurs and their efforts to advance systemic change across a wide range of global issues. From the late 1980’s until 2005, Lance worked in variety of leadership positions with organizations combatting the HIV/AIDS epidemic domestically and globally. These included serving as CFO at the NAMES Project Quilt during its startup years, senior leadership roles in finance, administration, development and eventually Executive Director at the San Francisco AIDS Foundation and CFO and President at the Pangea Global AIDS Foundation. Before making the leap to greater meaning and purpose in life, Lance spent time as an investment banker. Since those less enlightened days, the focus of Lance’s work has been to help organizations working at the intersections of social and economic justice, innovative uses of capital, technology and health to expand their impact by building capacity, eliminating obstacles and empowering teams to succeed. Before having boy/girl twins in 2008, Lance could be found pursuing a wide range of interests and hobbies, but these days those hours are spent nurturing Sammy and Ali as they explore life in their new hometown of Oakland. 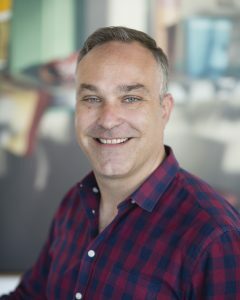 Matt Perry is the Chief People Officer with the Kapor Center, bringing more than 15 years of human resources and business operations experience to this role. Most recently, he was the Division Deputy of Business Operations for the 150-person IT Division at the Lawrence Berkeley National Laboratory, overseeing a $35 million budget and all HR issues for the division. Prior to that, at the University of California Office of the President (UCOP), Matt served as the Director for Business Operations with the Issues Management, Policy Analysis and Coordination department, advising senior staff on policy and legislative issues related to the business operations of the University. Earlier, he served as the inaugural HR Director for the International Center for AIDS Care and Treatment Programs, a $250 million grant-funded international program based in New York that employed 250 domestic and international employees. 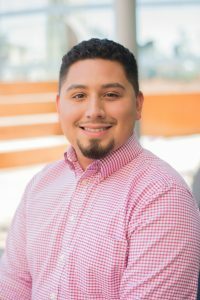 Matt has been a passionate advocate for diversity and inclusion throughout his life and was attracted to this opportunity to align his passion with the work of the Kapor Center. Matt has a master’s degree from Columbia University and a bachelor’s in political science from Dickinson College. A transplant from New York City, Matt lives in Oakland with his wife, Janelle, and children Julia and Miles, and is committed to seeing more live music this year than last. Matt can be reached at matt [at] kaporcenter.org. 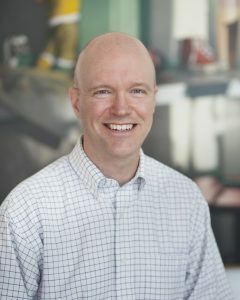 Eric Wingerter is the Chief Communications Officer at the Kapor Center bringing with him more than 15 years experience in nonprofit leadership, strategic communications, and digital strategy. 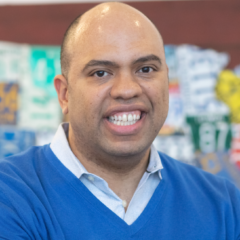 Most recently, Eric served as the Vice President for Communications and Digital Media for the NAACP, the nation’s oldest and largest civil rights organization. 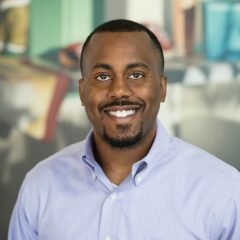 In 2009, Eric founded the NAACP’s Digital Media Department to create and build the organization’s Email, social media and mobile messaging presence. Two years later, he took the reins of the NAACP’s traditional communications activities as well, overseeing the media and press relations for the organization nationwide. 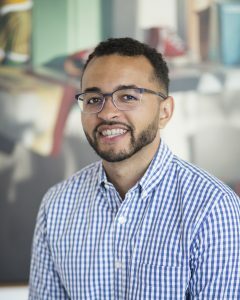 Previously, Eric worked as a DC-based nonprofit consultant, developing communications strategies for a wide range of clients including the United Food and Commercial Workers Union, the Justice Policy Institute, Campaign for Youth Justice and the LGBT Bar Association. He has held leadership positions at non-profit advocacy organizations including Public Employees for Environmental Responsibility and Defenders of Wildlife. Eric currently serves on the board of America’s Voice, the communications arm of the national immigration reform movement, and the Venezuelan Sounds Foundation which promotes the rich musical traditions of the Caribbean nation. He is the recipient of the Medgar W. Evers Award for Excellence, the NAACP’s highest national staff honor. A global traveler and outdoor enthusiast, Eric has hiked and camped in the mountains of Peru, Syria, Venezuela, Ethiopia, Turkey, Bolivia, Russia, Nicaragua and Switzerland, in addition to many corners of the Cascade Range in his beloved Pacific Northwest. Contact Eric Wingerter at eric [at] kaporcenter.org. 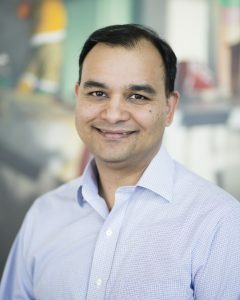 Gaurav Vashist is the CFO at Kapor Center, bringing more than 15-years of experience in accounting, financial analysis & financing. Prior to join Kapor Center, Gaurav was at Citizen Engagement Lab working at the intersection of tech & social change. Gaurav was able to scale organizations and keep costs low in large measure by leveraging technology which is a key element in his work. He has spent many years in the non-profit space and prior to that was 11+ years in the corporate world, where he spent a majority of time at Alcatel Lucent, a multinational telecommunications company. While on a 6-month sabbatical, Gaurav went to work in the poorest of villages in India in the area of rural/tribal education and community development. Gaurav lives in Oakland with his wife and two daughters. He is also a certified instruction of the Happiness Program and works in the community in bringing a stress free and violence free society. Contact Gaurav Vashist at gaurav [at] kaporcenter.org. Ricki Akiwenzie is the People Operations Associate, primarily focusing on recruitment, staff on-boarding, and payroll and benefits administration. 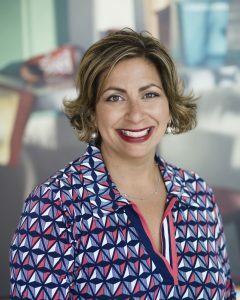 She brings to the role a wealth of strong human resources generalist experience, most recently with Koff and Associates, an HR consulting firm in Berkeley. Prior to that, Ricki was with consulting firms Tetra Tech DPK and Arcadis. She was an ABC Scholar in high school, is a UC Berkeley grad (where she was a founder of Hermanas Unidas), and earned her MBA from Mills College. Contact Ricki Akiwenzie at ricki [at] kaporcenter.org. Kim Bardakian is the Director of Media Relations. Kim recently served as the VP of PR and Community Relations for Visit Oakland, where she worked with local, national and international press to showcase all the positive things going on in “The Town.” Previously, Kim worked in-house with a number of growing consumer tech companies including Pandora and Peek. Kim also has agency experience with The OutCast Agency where she developed PR programs and events with Fortune 500 companies including Amazon, Dell and Yahoo! Kim began her career at Sony PlayStation where she founded and implemented the highly successful product placement TV and movie program. She currently serves as an active member with the National Association of Black Journalists (NABJ), PRSA (San Francisco Chapter) and involved in a variety of other PR and media organizations. A native New Yorker, Kim holds both a Bachelor of Arts and Masters of Arts from the University of Michigan, Ann Arbor. She proudly resides in Oakland where she is an avid tennis player and can been seen out and about dining at many of the great Oakland restaurants. Contact Kim Bardakian at kim [at] kaporcenter.org. Jesse Burger is the Senior Accountant. bringing over five years of accounting experience as well as a passion for leveraging technology to streamline accounting operations. He has been committed to supporting social change leaders via finance and accounting since moving back to the Bay Area in 2012. 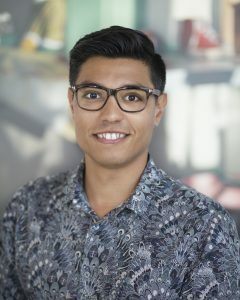 Prior to joining the Kapor Center, Jesse worked with Citizen Engagement Lab, where he provided financial services to a variety of digital activist and arts organizations within CEL’s acceleration program. Jesse was excited to join the Kapor Center, where his experience and values align with the Kapor philosophy. Jesse holds an MA from New York University and a BA from San Francisco State University. Currently residing in Oakland, Jesse enjoys biking around town, practicing yoga, and exploring nature. Jesse is also an artist (focusing on Queer and Mestizo identity) with an evolving interest in web design and woodworking. Contact Jesse Burger at jesse [at] kaporcenter.org. Contact Candase at candase [at]kaporcenter.org. Erick Garcia is the Receptionist/Office Services Assistant. Erick was born in El Salvador and moved to the United States when he was seven years old. Erick has lived in the Bay Area for thirteen years and nine of those years he has lived in Oakland. As much as he is proud to be Salvadoran, Erick also takes great pride in being an Oaklander. 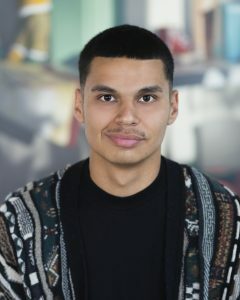 Previously to working at the Kapor Center, Erick was the Assistant Enterprise Manager at Juma Ventures in their Oakland branch, where he had the privilege of working with countless youth from underrepresented communities. the Kapor Center was a clear choice for the next step in his career. Erick admires our work and feels very at home with the rest of the staff and atmosphere that the center creates. Like Oakland’s Mayor, Erick graduated from Skyline High School in 2015. (Go Titans!) He is currently working on a Nursing Degree at Merritt College and is looking to transfer into a BSN/RN program in the next couple of years at either Cal State East Bay or Samuel Merritt University. During his free time, Erick enjoys books, writing and spending time with his younger sister. Contact Erick Garcia at erick [at] kaporcenter.org. 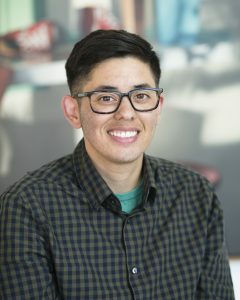 Jonathan Garcia is the Culture & Inclusion Fellow. In this capacity, Jonathan helps us build and maintain a healthy organizational culture. Earning a degree from the Johnston Center for Integrative Studies in Advancing Culture, Jonathan currently holds an art fellowship at the Yerba Buena Center for the Arts, and has previously held positions at Apple, USA Today College, and GRAMMY U. He is also the founder of the Race on Campus conference at the University of Redlands, and for this and other outstanding leadership, Jonathan was bestowed his alma mater’s 2017 Hope Award. In his free time, Jonathan can be found trying to write something good, scrolling through NBA Twitter, reading about color theory, or DJing the house party down the street. Laura Hinton is the Insights and Operations Analyst. As a member of the Research Team, Laura optimizes organizational processes and synthesizes, manages, and visualizes data and insights. 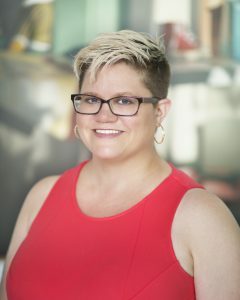 Prior to her role on the Research team, Laura was the Program Operations Manager at SMASH, the signature education program of the Kapor Center. While at SMASH, she designed the operational procedures/processes for the SMASH Academy and SMASH Rising programs, managing across seven SMASH sites and supporting 100+ staff every summer, nationwide. Born and raised in the Bay Area, Laura attended Harvard and earned a B.A. in Sociology with a minor in Studies of Women, Gender, and Sexuality. Laura is committed to standing up for equitable education, diverse and inclusive cultures, and optimizing teams and spaces that focus on impact. She previously served on the governing board for her high school, the Alameda Community Learning Center. 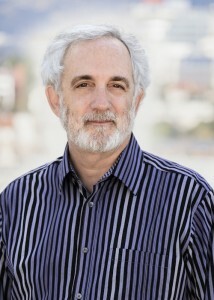 Greg Humpa, PhD is the Executive Administrator for Mitch Kapor and Freada Kapor Klein. Since 1998, he has also been the Manager of Client Services at Freada’s research/consulting firm, Klein Associates, which addresses workplace fairness issues. Before joining Klein Associates, Greg ran training & development and human resources at an agribusiness start-up. This job was a somewhat logical transition from his life as a nearly-eternal graduate student who spent a lot of time on Amish farms. Greg has a Ph.D. in foreign languages and literatures from Purdue University, and was a Fulbright Scholar at the University of Bern, Switzerland. He also has a B.A. with highest honors in journalism, French, and German from Creighton University. “Dr. Greg,” as he is known around the Kapor Center, is a Midwestern transplant to the Bay Area, and is constantly amazed by the natural beauty and (mostly) beautiful weather that northern California offers. Contact Greg Humpa at greg [at] kaporcenter.org. Emily Jones is the Controller at the Kapor Center, bringing more than 10 years of accounting experience to the finance team. 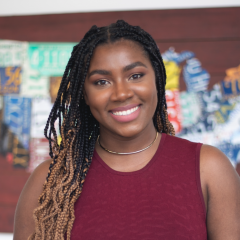 Prior to the Kapor Center, she worked for RSF Social Finance and is passionate about working for a company that helps her stay true to her values while also growing professionally. Emily lives in San Francisco with her partner and their three dogs and loves to travel and explore. She is a Big Sister and enjoys giving back by sharing in experiences with her Little. She received her Masters in Taxation from Golden Gate University. Contact Emily Jones at emily [at] kaporcenter.org. 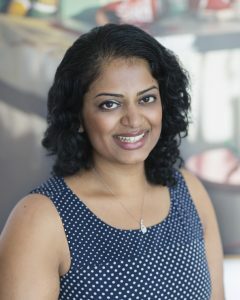 Sonia Koshy, PhD is the Director of Measurement, Evaluation, and Learning, working across all of the Kapor entities to help evaluate the impact of our programs and initiatives and communicating outcomes to the broader community. Sonia is a developmental psychologist, researcher, and evaluator, with a Ph.D. in Child Development from Tufts University. Prior to the Kapor Center, Sonia came from Algorhythm, a startup that creates automated, real-time reporting for the social sector. In her role as the Applied Social Science Director, she laid the research foundation for the Youth Development Impact Learning System and provided research and evaluation services to key clients such as Youth INC, The Robert Bowne Foundation, Literacy Inc., and the IKEA Foundation. 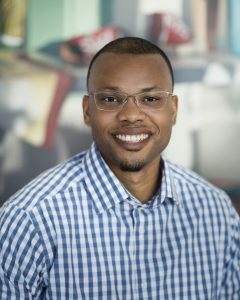 Marquelle Lee is the Office Services Manager where he is responsible for organizing and coordinating office operations, procedures in order to ensure organizational effectiveness and efficiency. Before this current role he was a Membership Service Coordinator at the YMCA in Berkeley where he worked closely with the local neighborhoods to help build strong communities and healthy families. While pursuing his education in Business/ healthcare Management he hopes to continue this effort and make Oakland a better place to live and thrive. Marq is passionate about running and facing any fitness challenge that comes his way. He pursues this passion by participating in annual marathons to help bring awareness to the cause at hand and raise money for charities. Contact Marquelle Lee at marquelle [at] kaporcenter.org. Meghna Mahadevan is the Senior Community Engagement Associate at the Kapor Center. She is the program manager of the iLab, researcher of the Oakland Tech ecosystem, and advocate of ‘Tech Done Right’. Meghna is invested in Oakland’s policy landscape as an Urban Leaders Fellow with the City of Oakland. 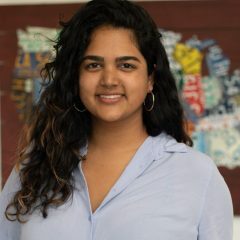 Before joining the Kapor Center, Meghna worked as a Digital Consultant for Accenture where she had the opportunity to consult for Small and Medium Business Marketing & Sales teams with Facebook, Google, and Snap. Her previous experience centers around manufacturing and supply chain. Meghna attended Georgia Tech in her hometown of Atlanta, GA and holds a B.S. in Industrial Engineering. In her spare time, if she’s not spending time with loved ones, you’ll find her exploring a body of water or a new music scene. Contact Meghna Mahadevan at Meghna [at] kaporcenter.org. 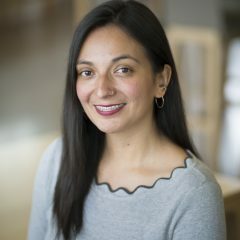 Alexis Martin, PhD is the Director of Research Partnerships, where she conducts and funds research addressing issues of access and opportunity in the technology pipeline. Dr. Martin received her Ph.D. and M.A. in Education (Social and Cultural Studies program) at U.C. Berkeley and her B.A. in Interdisciplinary Social Sciences from the University of Redlands. Prior to her work with the Kapor Center and Level Playing Field Institute, Dr. Martin taught future educators at U.C. Berkeley & Sonoma State University and worked with teachers in professional development inquiry groups examining equity in their classrooms. She has also taught high school social studies and done outreach with students who were the first in their families to attend college. 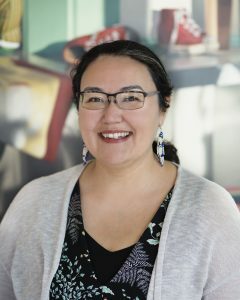 Frieda McAlear is the Senior Research Associate, where she brings her skills as a social science researcher and her passion for working with and for marginalized and underrepresented communities, at the Kapor Center. She has nearly a decade of experience managing projects, developing evaluation and research methodology and building nonprofit technology capacity with socially progressive organizations in the Bay Area, Europe and Southern Africa. In 2013, she worked as an evaluator for an HIV/AIDS clinic serving villages in Lesotho and as a Program Coordinator for ZeroDivide in San Francisco in 2014. She holds a Master of Research in Geography from Queen Mary University of London, and a Bachelor of Science in Computer Science from Vesalius College in Brussels. She has nearly a decade of experience managing projects, developing evaluation and research methodology and building nonprofit technology capacity with socially progressive organizations in the Bay Area, Europe and Southern Africa. 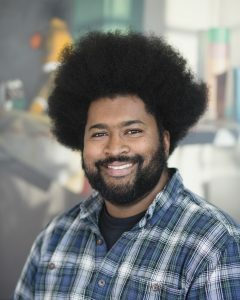 Chris McLemore is the Oakland Startup Network Program Manager. Chris will help the Kapor Center focus on product management of online community building and help identify & assess tech startups and entrepreneurs. Chris was an Analyst at Nestlé and a Product Manager at Gap. Chris is also hard at work on a startup of his own, Netwirth, that focuses on bridging the gap between white-collar and urban America through unequivocal product experiences catered towards social change. In its early stages, Netwirth garnered interest from investors and gaming companies like Zynga but instead decided to continue developing the brand independently. Chris is an Oakland native and holds a BS in finance from Sacramento State University. In his free time, he enjoys traveling, sports, attending art exhibits, and consulting. Contact Chris McLemore at chris [at] kaporcenter.org. Frank Nelson is the IT/AV Engineer. As a part of the IT Operations team Frank covers a lot of the projects and day-to-day tasks that helps support our users and enabled them to be more efficient and effective with their work. Another part of his job is also supporting our events both internally and externally with IT and AV Support. He comes from a background of IT and infrastructure; working at places like Samba TV, Guavus Inc and Zynga. His interest are a variety Sciences and Physics, the African Diaspora, physical and weapons training, tech innovations and his family. Contact Frank Nelson at frank[at] kaporcenter.org. Angela Newman is the Executive Administrator and Office Manager for the Baltimore office. In her role, Angela manages daily office operations and provides administrative support for the team. 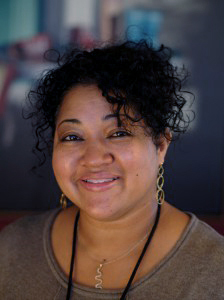 Angela brings over 15 years executive support and office management experience to the Kapor Center. Angela previously worked for Amnesty International USA where she served as the Senior Executive Assistant to the Executive Director. Prior to Amnesty, Angela was Executive Assistant and Senior Scheduler in the Executive Office of the NAACP. Angela earned an MBA and a Master of Science in Healthcare Administration from the University of Maryland, University College (UMUC). She also earned her B.A. with high honors from UMUC. She has a passion for social justice and human rights issues and enjoys mentoring young women and girls in her community. Angela can be reached at angela [at] kaporcenter.org. Landry Nicks is a Staff Accountant, where he assists in supporting different financial duties for the organization. He is a graduate of Loyola Marymount University with a degree in Accounting. He most recently worked at OpenTable, where he was focused on improving revenue operations for the company. During the summer of 2015, Landry founded a grassroots community organization 4Oakland. 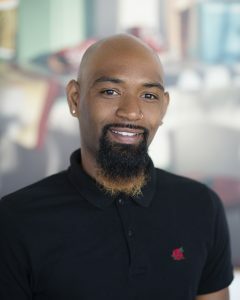 As an Oakland native, he is passionate about creating accessible avenues to engage the community and help to support and foster growth for the less fortunate in Oakland. Through joining the Kapor Center, he is excited to align his passion for giving back with his daily work. In his free time, he enjoys live music, reading and hiking throughout the Bay Area. Contact Landry at landry [at] kaporcenter.org. Cynthia Overton, Ph.D. is the Director of Tech Workplace Initiatives, where she provides diversity and inclusion-related education opportunities and resources through focused initiatives for tech professionals. 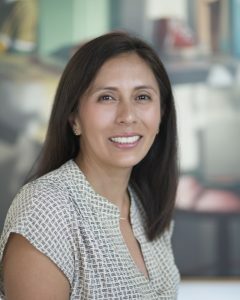 Cynthia brings more than a decade of experience in social science professional services industry, leading research, technical assistance, and knowledge translation initiatives that enhance opportunities for underrepresented populations. Her particular expertise is in making technology accessible so that it can be enjoyed by people with disabilities and aging populations. She has also worked on corporate initiatives to advance workforce diversity and inclusion. In her spare time, Cynthia developed and maintains InclusionClearinghouse.org, a repository of resources that support D&I leaders in tech with research, promising practices, and other resources to guide professional decisions. Cynthia holds a B.A. from Hampton University, an M.S. and Ph.D. from the University of Michigan in learning technologies with a concentration in accessible technology, and a masters degree in P.R./corporate communications from Georgetown University. Contact Cynthia at cynthia.overton [at] kaporcenter.org. 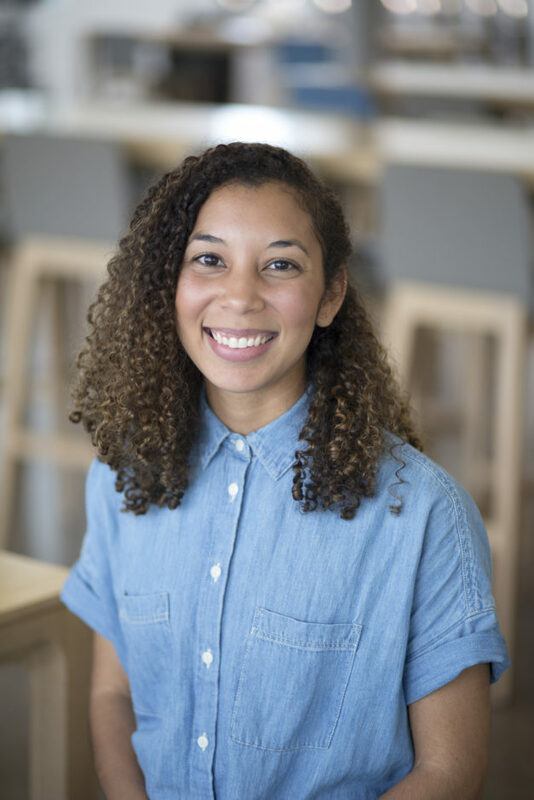 Tiffany Price is the Community Engagement Manager, helping ensure smooth processes and facilitating strong partnership development for the Kapor Center. Prior to this role, Tiffany was an Education Program Fellow for The San Francisco Foundation where she helped manage the education grantmaking portfolio. Before philanthropy, Tiffany spent six years doing education policy research and evaluation, which fueled her desire to work more closely within her local community. She serves on the board of advisors for /dev/color, a non-profit that supports Silicon Valley Black software engineers, and serves on Hack Reactor’s Scholarship Advisory Committee. 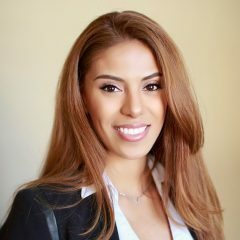 Tiffany is also a Ruby on Rails web developer and holds a Master’s degree in International Comparative Education from Stanford University and a Bachelor’s degree in Chemistry and International Studies from Emory University. Tiffany is an avid photographer who also sings in her spare time. You can contact Tiffany at tiffany [at] kaporcenter.org. 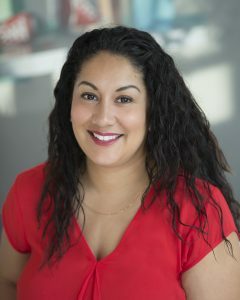 Antoinette Reyes is the Events Manager for the Kapor Center,ensuring high quality planning and production of Team Kapor events. She has worked in startups, public and nonprofit organizations, most recently with the Kapor Center on the accounting team! Antoinette holds an AA degree in Networks Systems Administration and a BA degree in Business Management from the University of Phoenix. She found her love for nonprofit work and giving back to the community while working for the Andre Agassi Foundation in Las Vegas. Ashleigh Richelle is the SMASH Communications Manager. Ashleigh shares a personal history with the organization as a SMASH Berkeley 2010 alumna of the SMASH Academy. SMASH is where she first discovered her passion for using technology to tell stories. Ashleigh attended the University of Chicago, where she graduated in 2014 with a B.A. in Cinema & Media Studies and a minor in Human Rights, focusing on documentary film production. While in college, Ashleigh served as the chapter president of her sorority, Latinas Promoviendo Comunidad/Lambda Pi Chi Sorority, Inc. 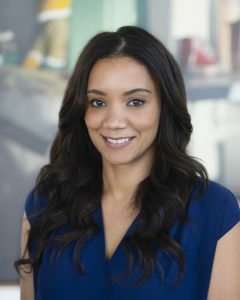 Prior to joining SMASH in 2015, she interned at CBS Interactive as a fellow of the Emma Bowen Foundation for Minority Interests in Media and worked on the university recruiting team at LinkedIn. 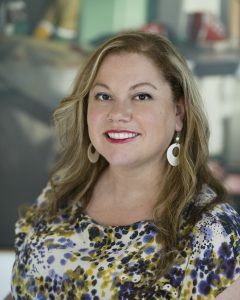 She’s currently involved with the Diversity & Inclusion Committee of the local Bay Area chapter of PRSA. Outside of work, Ashleigh loves movies, salsa dancing, travel, advocating for her local community and being a role model for young women of color and Latinx. Richard (Rich) Riley is the Director of Financial Planning and Analysis for the Kapor Center. Before joining Kapor, Rich worked at Visa Inc. as Director of Finance. Prior to Visa, Rich spent three years at Vale S.A in Brazil as Principal of Strategy and Planning for one of Vale’s business units in Sao Paulo. For the first ten years of his career, Rich worked at United Technologies in various positions of increasing responsibility in Finance, Strategy and Operations, and at General Electric in its Energy Management organization. Rich received dual BS degrees from Syracuse University and an MBA from the Massachusetts Institute of Technology (MIT). Sergio Rosas is the Program Lead at the Kapor Center. 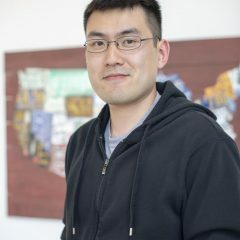 He oversees a national inclusive tech ecosystem initiative focused on identifying and supporting the next generation of organizations building pathways into the tech industry and entrepreneurship. He is passionate about shaping the workforce of the future and brings a decade of experience in strategic initiatives, management, and design thinking to education, learning, and workforce development programs. 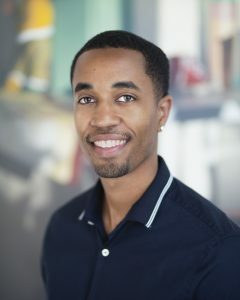 He co-founded the LA Tech Talent Pipeline, a talent development and sourcing program connecting hundreds of non-traditional job seekers to internships and entry-level jobs at Los Angeles start-ups and technology companies at the Los Angeles Area Chamber of Commerce. 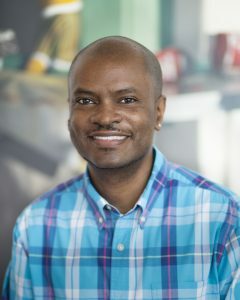 Over the course of his career, he has built cross-sector partnerships with Fortune 500 companies, colleges, municipal governments, state agencies, foundations, and community-based organizations to serve thousands of high school and community college students across Los Angeles and the state of California. Phillip Sanders is the Investment Accounting Manager, where he prudently assists various aspects of the Kapor Center’s financial profiles. 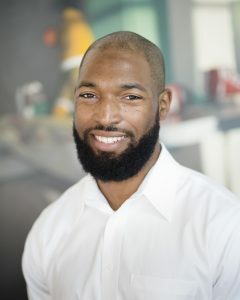 A graduate of Bethune-Cookman University, Phil started his accounting career at Ernst & Young where assisted clients in various industries such as technology, real estate and VCs throughout the United States. Phil also worked in private equity while co-founding a non-profit, Real Talk, which focuses on mentoring underrepresented youth through presentations that teach techniques for overcoming adversities, building inspiration through entrepreneurship and career opportunities, and focusing on using a social media mentorship network for engagement. In joining the Kapor Center, Phil is happy to be able to align his mission of giving back each day with his work. Phil also loves producing music in his spare time, traveling, and is a prospective muscle car collector (does not own one yet). Brandon Sudat is the Senior IT Support Administrator. As a part of the IT operations team, Brandon addresses day-to-day issues in addition to managing projects and contributing to the strategic direction of IT infrastructure. Brandon lives here in Oakland with his wife and three children. 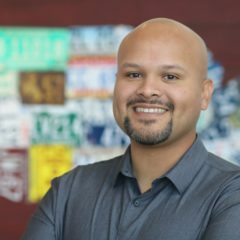 Josh Torres is the Latinx Tech Program Manager at the Kapor Center where he will focus on shaping and administering our national Latinx Tech Initiative. Josh is a passionate operational and strategic planner with a penchant for streamlined and efficient internal company communications. His collective experience spans over 8 years consulting for clients, working in-house for hyper-growth early-stage startups like Square, Yelp Reservations, and, most recently, Asana. Josh is passionate about social justice and making the world a more connected and inclusive community for all. He’s an Oakland resident who nerds out on science-fiction, podcasts, Kickstarter, and comic books. Jimmy Ung is a Senior Accountant for the Kapor Center, bringing with him over 6 years of accounting experience to the finance team. Prior to joining the Kapor Center, Jimmy had recently worked for a real estate brokerage, Better Homes and Gardens Real Estate. During his time there, he ensured the accuracy and timely reporting of the financial statements as the Accounting Manager. Jimmy is a graduate from Cal State East Bay with a degree in accounting. In his free time, Jimmy enjoys trying out new restaurants around the bay and spending time with his family and friends.